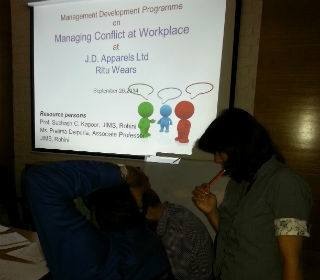 Jagan Institute of Management Studies organized a MDP program on the topic “Managing Conflicts at Work place” at J. D. Apparels Ltd. (RITU WEARS), NOIDA on 26th September 2014. The Key Resource Persons were: Prof. S. C. Kapoor and Ms. Pratima Daipuria, Associate Professor, JIMS. 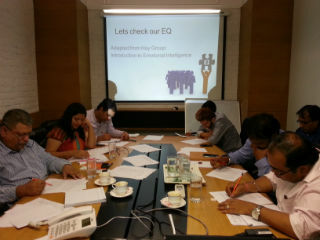 The workshop was specially designed for HOD’s and Directors of the organization. 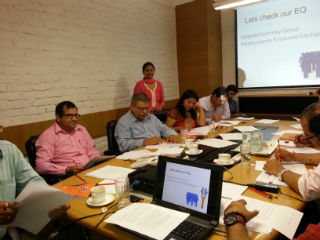 The special feature of the event was active participation of all the participants in a problem solving process given on the spot, first individually and later collectively as a team to arrive at a consensus despite difference of opinion in individual thought processes. The participants were given exposure to have self assessment of their understanding of human behavior, conflict resolution preferences and Emotional Quotient. The participants were involved in appreciation of hard realities of the issues through storytelling and videos. Prof. Kapoor initiated the workshop with a brief introduction of JIMS and the innovative involvement of management and faculty members in shaping young budding managers as per the corporate standards. 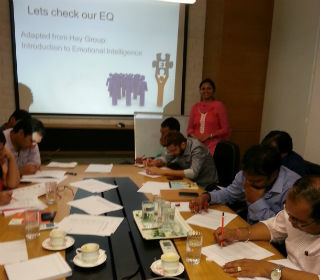 Ms. Pratima further highlighted the critical importance of the concept “Emotional Intelligence” and its connectivity in our decision making at work place. 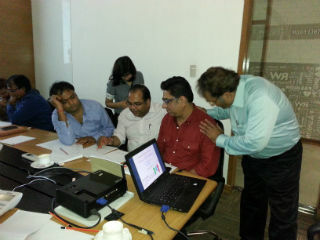 The participants were appreciative of the concepts and concerns shared by the resource team during the event. 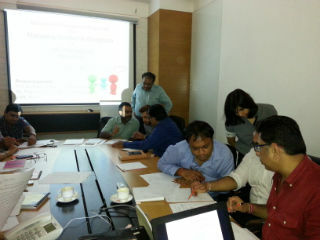 Overall the session was very interactive and it was a great learning experience. The next program is likely to come up in November 2014.